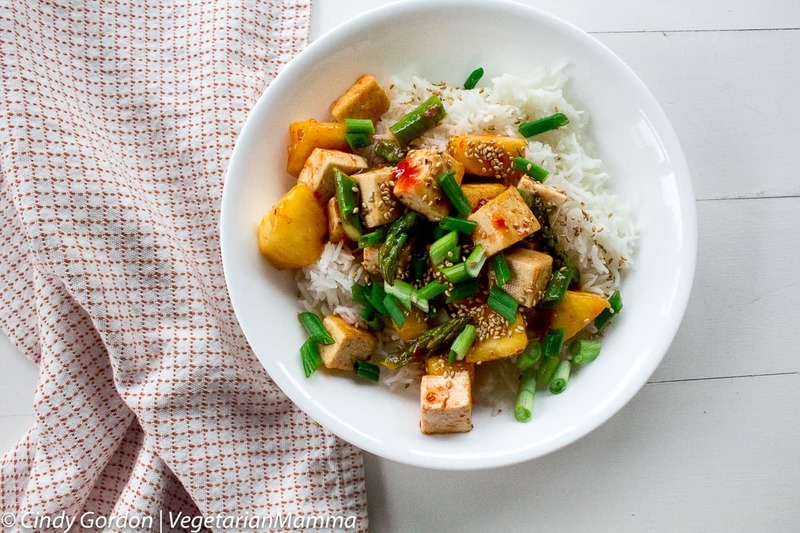 Sweet Thai Chili Tofu Bowls are the perfect balance of sweet and spice! These delicious bowls are great for meal prep! We’ve talked before about how busy life can be. We have talked about meal prepping and even shared some meal prep ideas such as our Mediterranean Hummus Bowl, our Sweet and Salty Tofu Bowl and our Southwest Potato Bowl. Meal Prep makes life easier! All of these are great meal prep ideas! 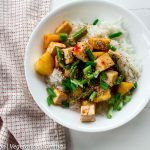 Today, I want to share another great meal prep idea for you: Sweet Thai Chili Tofu Bowls! This is a meal you can serve for dinner or for lunch prep. If you are looking for lunch prep, I just grabbed some glass dishes from Amazon for my lunch prep. 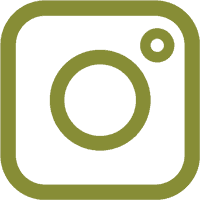 (affiliate link) It makes meal and lunch prep so easy! These tofu bowls are delicious. 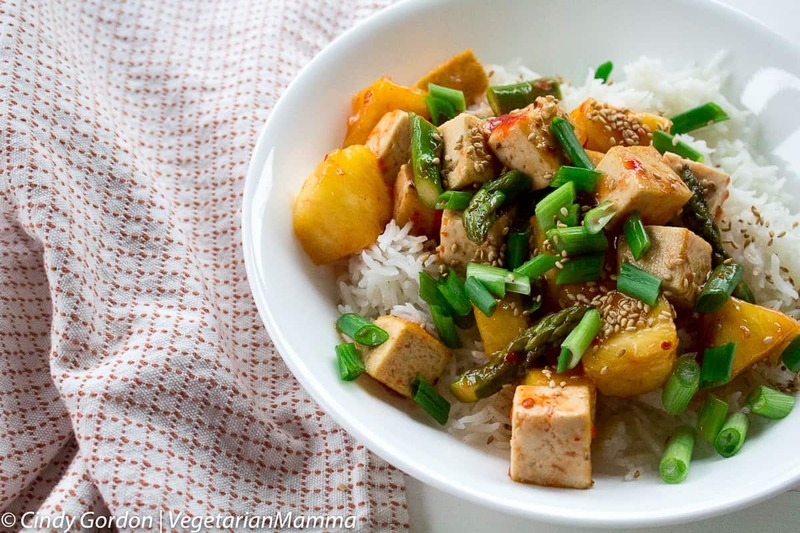 They pack the protein from the tofu and the dish is packed with lots flavors! The asparagus brings an earthy flavor. The pineapple brings a sweet, yet tart flavor profile. Oh, and the sweet chili sauce…it brings a blend of HOT and sweet all at the same time! Preparing this dish is pretty easy. Just like all our gluten-free recipes around here…we try to make it simple! While it might be simple, it still has flavor. The most important part of this recipe is pressing your tofu. I had previously not known how important that was until I met Ben, from the EZ Tofu Press. 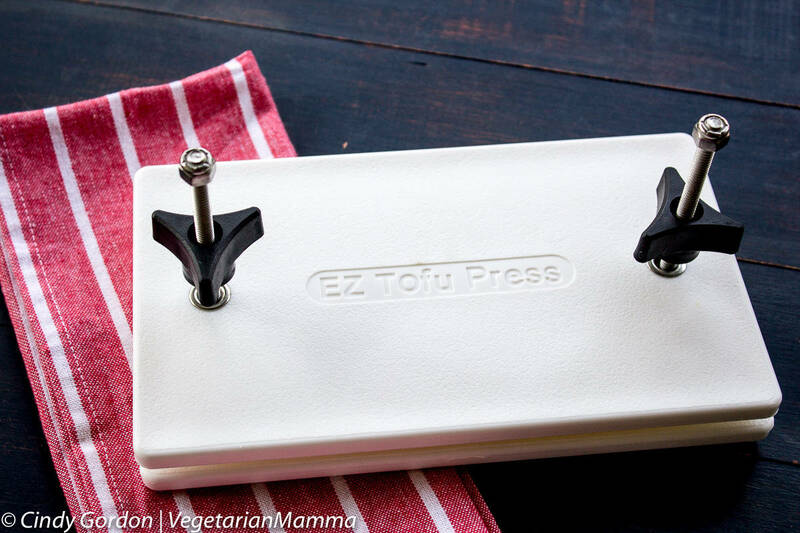 We love our EZ Tofu Press! Then one time trying the EZ Tofu Press (Amazon Affiliate link) and I understood the important of a press. My tofu cooks better and tastes better. It is such an important step! EZ Tofu Press (Amazon affiliate link) takes the liquid out of your firm or extra firm tofu easily, quickly, and with less mess than using plates and cans. This press utilizes simple mechanics and quality materials to ensure that it’s long-lasting and easy to use. In keeping with the “life is busy theme” I did used a bottled Sweet Thai Chili Sauce. I didn’t make my own. However, there are some pretty easy and amazing looking recipes out there. I found this Thai Sweet Chili Sauce recipe on Serious Eats. It looks quite tasty! The recipe is so super easy, I made a video for you. Just give me 1 minute of your time and you will see just how easy and simple this recipe is! See, I told you! I bet you are getting hungry! It is recipe time! Let’s do this! Using your EZ Tofu Press, press tofu for 12 minutes. Dice into cubes. Heat oil in skillet over medium heat. 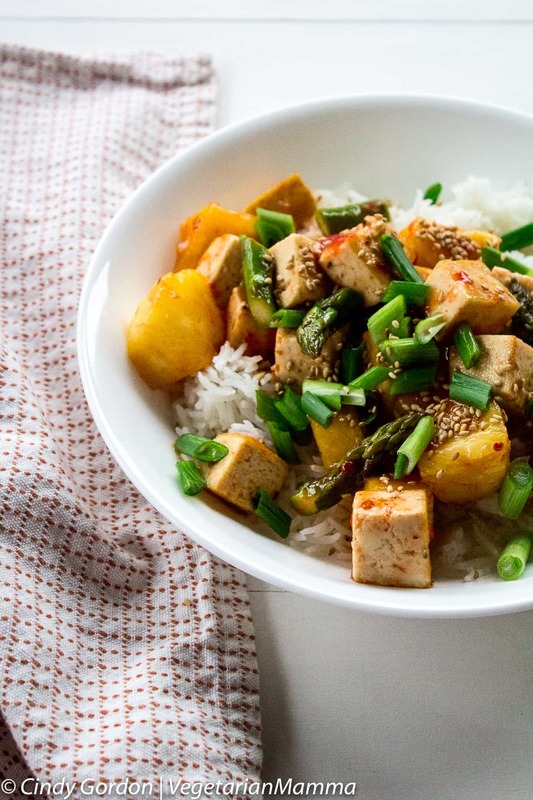 Fry tofu and asparagus until tofu is golden. Add in pineapple and sauce. Stir to coat. Divide cooked rice into 4 bowls. Divide tofu mixture into bowls. Want to learn more about tofu? 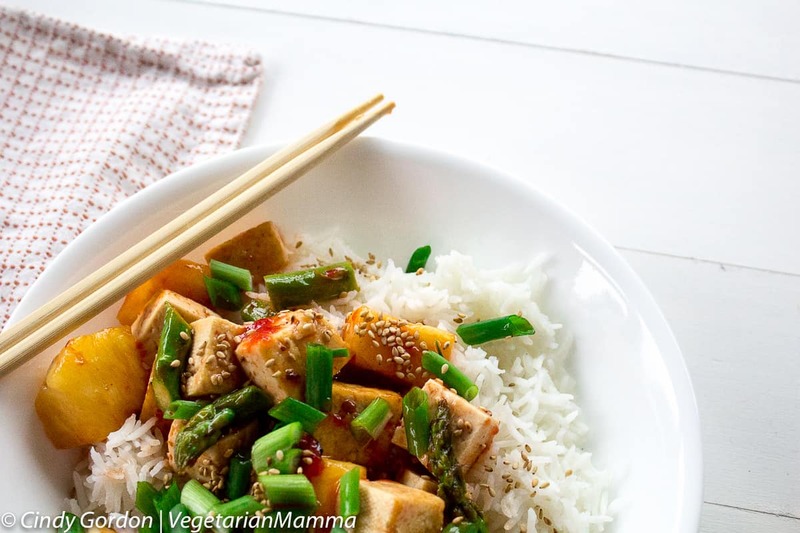 We’ve got you covered with this tofu articles! Thank you to EZ Tofu Press for sponsoring this post! We love your press and couldn’t live without it! Let’s talk! Leave me a comment telling me if you’ve ever had a Sweet Thai Chili Sauce? Do you love the combo of spicy and sweet? I hear so much about tofu and haven’t ever had any. I’d love to try some. 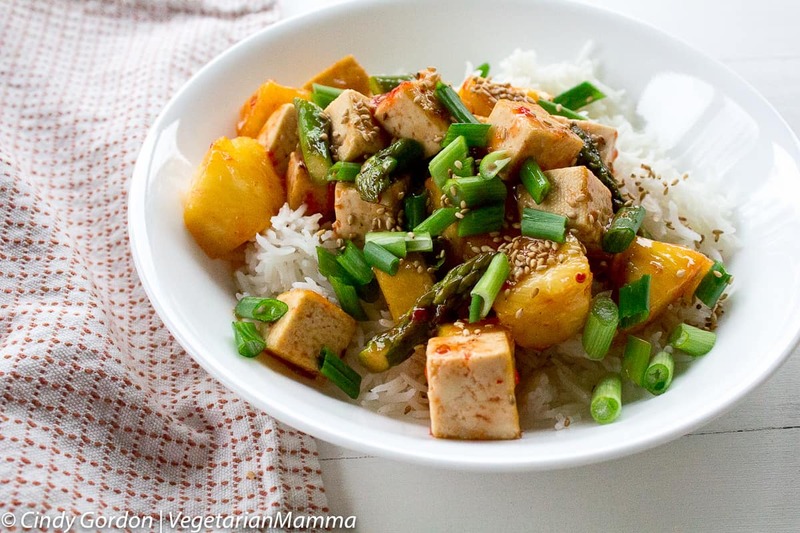 The flavor combinations of this dish sound so yummy! I’m loving the sound of the combo of pineapple and sweet chili sauce. This looks like such a great way to have a protein-rich yet delicious meal. 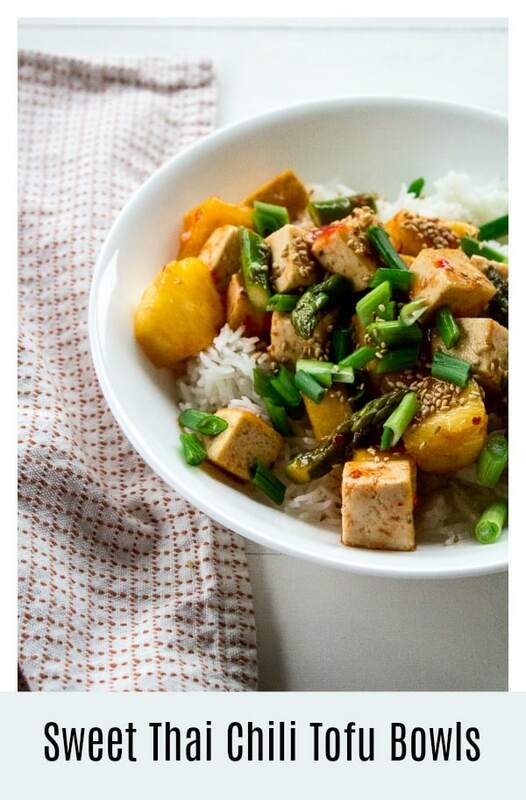 This dish sure does look good and sounds good except I have never tried Tofu. I know it is healthy and packed with protein. I know it is a meat substitute but ordering it I just haven’t had the desire to do yet. 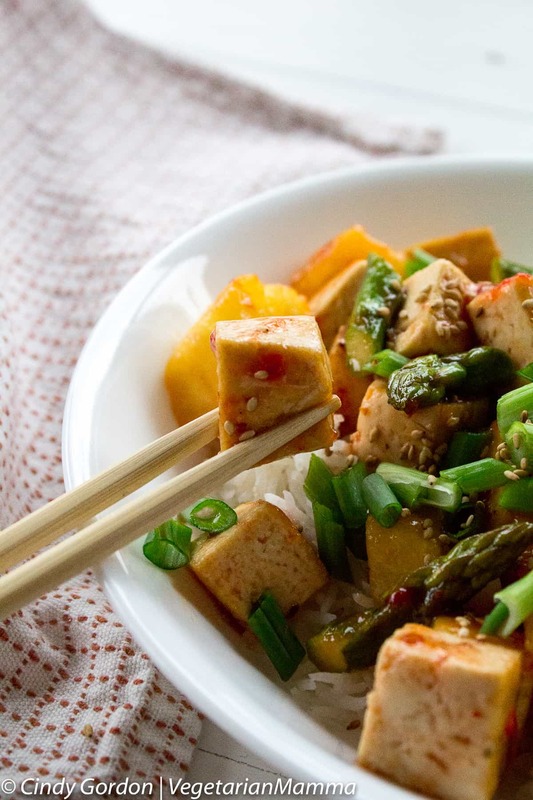 I never tasted Sweet Thai Chili Tofu Bowls But seeing this one? I’m sure I’m gonna love this one. I’m craving right now 🙂 ! Time to make a healthy food habit! Scrambled with tofu and vegetables are a healthy breakfast. Wowww! This is absolutely delicious for sure! And healthy at the same time! I’ll have to try this fantastic recipe! Tofu with kale, and roasted veggies. I’ve never actually tried tofu but I’ve heard how it can be just as filling and delicious as a meat. This dish looks like it proves that for sure. I so love this recipe. Yummy! I really love tofu. and I think this recipe makes me satisfied. and I am starting to crave for this sweet Thai chili tofu. I am looking forward to trying this one. I am a bit excited. 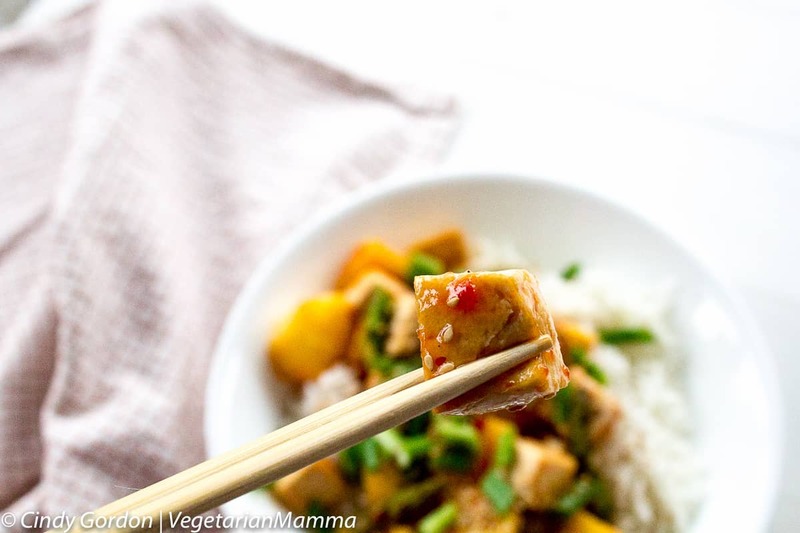 This is another tofu recipe that I will surely love. Look at that, it looks so delicious! Fantastic, glad you loved it and glad it worked well with chicken! !